LAS VEGAS – San Leandro’s Nonito Donaire won the vacant WBA super flyweight title Saturday night by unanimous decision over Panama’s Rafael Concepcion despite injuring his left hand early in the fight. Donaire (22-1) says he suffered the injury during the second round of the fight but continued to land heavy blows on his opponent who stood three inches shorter but weighed-in over four pounds heavy at 119.5. Sources estimated Concepcion had a ten pound weight advantage by the opening bell. Donaire said he believes the injury, which will be examined later, occurred in the second round when he opened a large cut under Concepcion’s left eye. Donaire, who grew up in San Leandro and attended San Lorenzo High School, controlled much of the fight, but the injury to his hand, which was visibly swollen and bruised over the middle knuckles, changed his game plan quite a bit. Throughout the middle rounds, Donaire ran much and backpedalled around the ring, to which irked Concepcion and elicited derogatory comments from the Panamanian. The injured hand may have played a large part in Concepcion keeping the fight close. 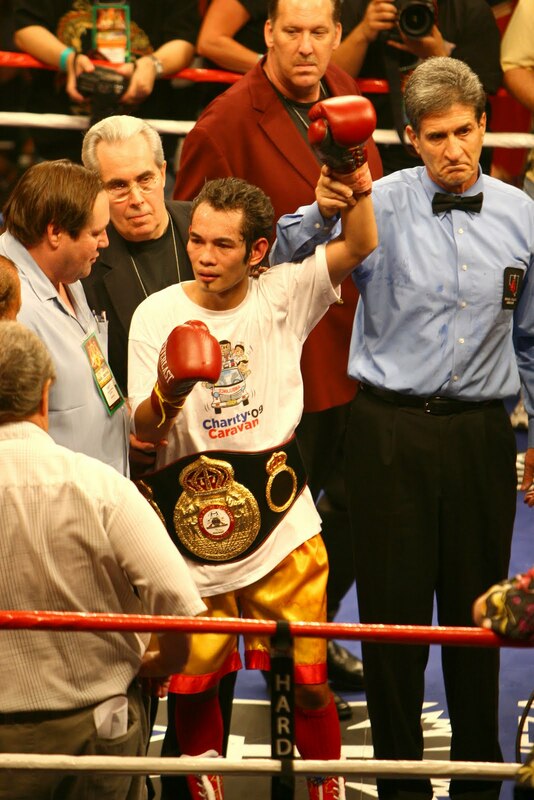 Donaire never was able to exploit Concepcion’s cut, in addition, to difficulty defending his own head and body. Donaire is expected to jump in weight class in the near future, despite saying he felt comfortable in the division and may fight again in December. Donaire noted his well-known spat with his father and former trainer weighed on his mind throughout the fight. “I kept hearing my family cheering for me. It bothered me. I kept thinking they were there in the crowd.” said Donaire. Posted in Nonito Donaire. Bookmark the permalink.